EL PASO—A modern day champion for a free press, fighting to maintain and safeguard the lessons learned and taught by persons of color in the history of American journalism made his way south to this border city. 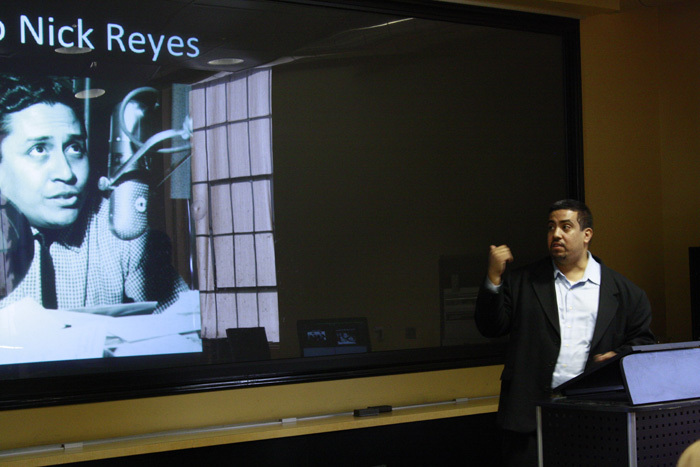 Latino author and journalist Joseph Torres stood before students at the University of Texas at El Paso on April 17 and asked them, “Who was Ruben Salazar?” The classroom full of aspiring young Latino journalist grew silent. Surprised by their silence, he explained how a boy from their own border town became one of the most important Chicano journalists in the 1960’s and how his voice was violently silenced in 1970 by police in Los Angeles. “What most people don’t know about him is that he tried to organize the Latino community and journalists to become activists to create change,” said Torres before reading a rare quote by Salazar that could be a clue to the speculations surrounding his death.